Why Choose Twin Peaks Roofing for Roofing in Denver? How does Weather Cause Roof Damage? What Does Hail Damage to Roofing Shingles Look Like? 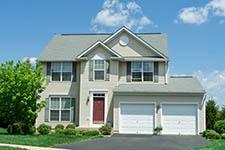 Is it Time for New Residential Roofing? Why Should I Choose a Tile Roof for My Home? Family owned Twin Peaks Roofing offers complete residential and commercial roofing in Denver, Aurora, Lakewood and the surrounding Colorado communities. Our team of licensed roofers has more than a quarter century of experience handling all types of roofing materials and services, including installation, repair and re-roofing. Twin Peaks Roofing is dedicated to providing the highest quality experience, starting right from the free estimate. If you are considering your roofing options for a new home, need to re-roof the home you've lived in for years, or if it is time for roof repair in Denver or the neighboring cities, you can count on us to get the job done right the first time. We will gladly go over all of your options with you to ensure we find out exactly what works for you, your style and your budget. Give us a call to request your free inspection and estimate for roofing in Denver from a team of experts! We service and install all roofing types, such as asphalt roofing, slate roofing, shingle roofing, metal roofing and tile roofing. Our crew loves utilizing local materials and nationwide brand names you know and trust, ensuring you get the product you want. With more than a quarter century of roofing experience among our team, no job is too big or too small for us! Don't hesitate to contact us with any questions about our Denver roofing services or products. Our family-owned business firmly believes in the work we do as your local Denver roofing contractor, which is why we offer a seven year no-leak warranty with all roofing installations! 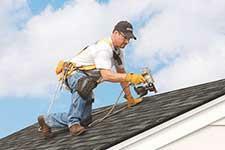 Twin Peaks Roofing also offers great referral rewards of $300 for residential jobs and $500 for commercial jobs. When it comes time for roof installation or roof repair in Denver or the surrounding areas, we'll be there for you. Give us a call at (720) 961-2851 to request your free roofing estimate. "They are prompt and did what they said they would do. They worked around my schedule." "We were very pleased with the work they provided."